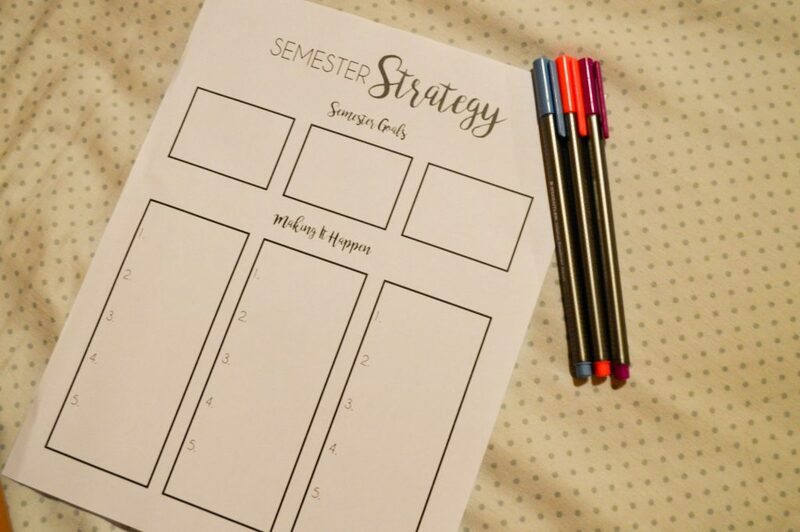 Today’s post is on what I think is a super important topic for anyone gearing up to go back to college in a few weeks, and that’s coming up with a semester strategy. 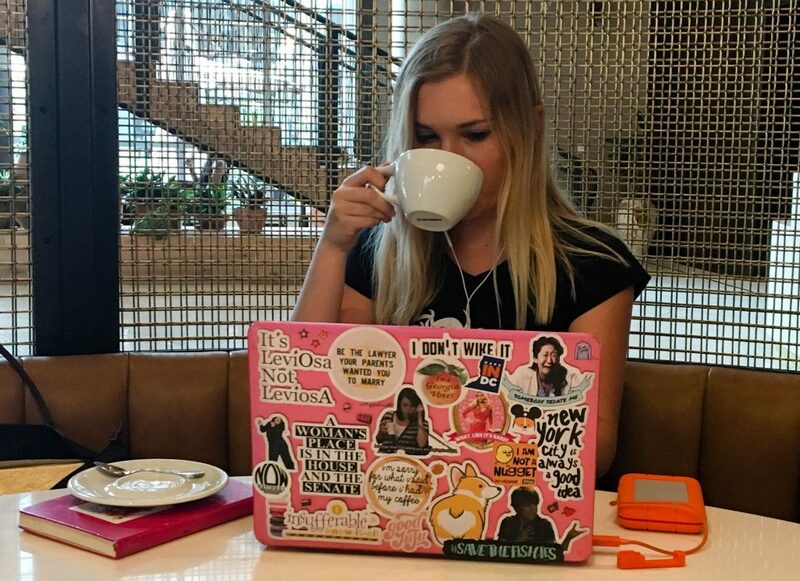 While it’s easy to just dive into school and college life headfirst, it’s so helpful to have an overarching strategy of what you want to get out of the semester before you get there. Having goals like this really helps when it’s time to get into the weeds of planning out your daily life and deciding what you want to prioritize. 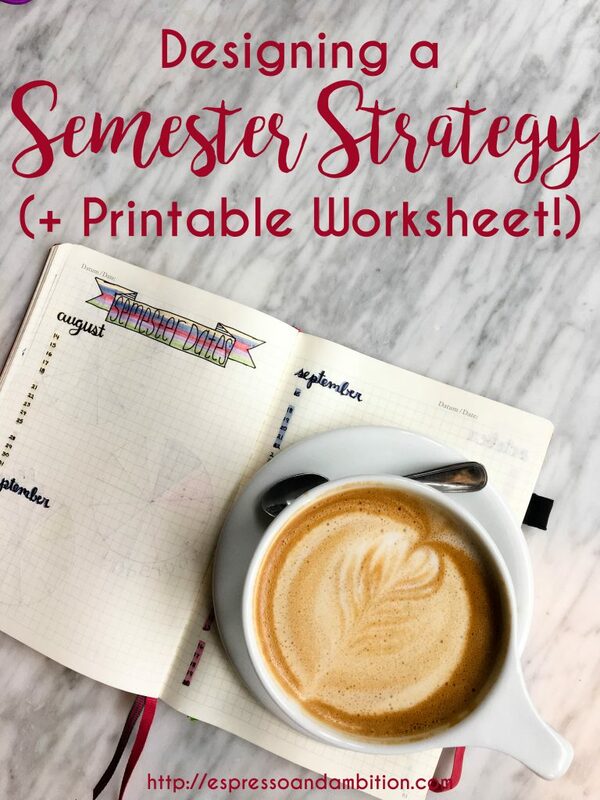 I’m going to walk you through the steps I take when I develop my “semester strategy.” If you want the same printable I’m using, subscribe to my blog using the button on my sidebar! You’ll get a download link delivered straight to your inbox. Deciding your overarching goals for the semester is so important – they set the tone for how you spend your time and how you measure your success. I usually like to have at least one school-related goal, and that one obviously takes priority. These goals can be more numbers-based, like getting all A’s, or they can be something more habits-based, like finish all readings before class every week. Then, you can set more goals related to other aspects of your life; for me, I’m making it a goal to continue posting regularly throughout the school year. I think three goals is probably the sweet spot. Much like making too many resolutions, having too many spread-out goals can make them all harder to achieve. Focus on the things you really care about. Next up, strategize. Goals are really only ambitious statements if you don’t put in the effort to determining how you’re actually going to achieve them. So figure out the little steps you need to take in order to make those big goals happen. If your goal is to get all A’s this semester, break that down into habits that will translate into good grades. Plan to spend an hour each day reviewing for two weeks leading up to each exam, make it a mission to go to office hours after each assignment/exam to figure out how you can improve, and promise yourself that you’ll attend every class, no matter how tempting staying home and watching the next episode of Friends on Netflix is. If you’ve written all of this down on paper, you now have a document with all of these promises to yourself on it. Hang it somewhere obvious or keep it on your desk, so that whenever you get bogged down with work, stress, or a barrage of social plans (in which case you’re way cooler than me), you have this fun paper reminding you of everything you set out to achieve this semester. Use that as motivation (along with an extra cup of coffee), and make this next semester yours. I just discovered your blog from a link on Poppyseeder and I love it! I’m about to start a masters in September and I’m getting really anxious to finalise my optional modules so I can begin making timetables and planning for semester one. I always used to make time on a Sunday night to go through everything for the next week and plan it out – it definitely made me feel so organised and I actually knew what was going on. Love this article, will definitely be using the printable! Keep it up, Taylor!